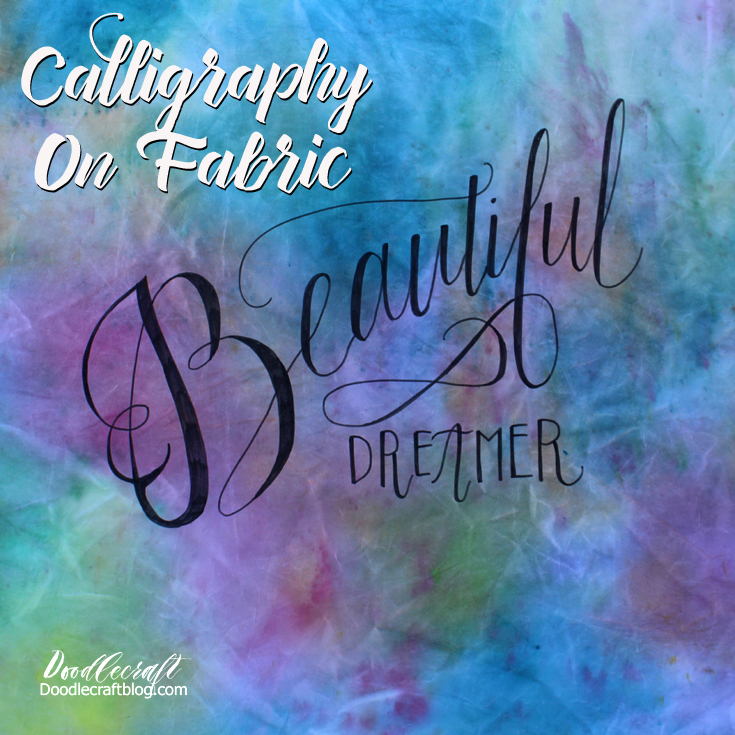 Doodlecraft: Calligraphy on Fabric with a Lightbox! Calligraphy on Fabric with a Lightbox! You will want to check out my How to Dye Fabric with Watercolors post from yesterday first! I received this amazing light table from US Art Supply in exchange for this fun tutorial! This lightbox is thin and huge! It fills nearly half of my huge work table! I love it and it will be used for many more projects! I got a giant piece of paper...but taping paper together would work too. Then I used a pencil to sketch out the design I wanted to write on my fabric. I decided on Beautiful Dreamer. I sketched it out on the paper. Placed it on my light box...which looks like a giant tablet. That is what my kids thought it was...bummer, just light. I used these fabulous Fabric sketch markers from US Art Supply as well. Then just traced the lines with the black marker! I did make a little mistake, but just go with it. Then add the thick lines to all the downstrokes. Take it out in the sunlight and enjoy the beauty! I love how easy it was to write on the fabric with these markers. I didn't wash it yet...but I ironed it to set the ink. that was watercolored and Calligraphied!